Tarzan's jungle home, and his family, Jane and Boy, are threatened by men greedy for gold. As WWII rages on, a group of Nazi paratroopers land on the secret city of Palandria to exploit its wealth, and they start taking hostages. Can the powerful King of the Jungle and his trusted companions--Cheeta, and Buli--save them? With Jane still away for the war effort, Tarzan and Boy set off to retrieve rare medicinal herbs, only to run into an American messenger, Nazi spies, and the mysterious desert's treacherous fauna and flora. Will they make it in one piece? As Jane and the local tribeswomen are abducted one by one by the wild Lionians, Tarzan attempts to persuade their prince to accept a potent medicament for his ailing men, while the girls face certain death. Can Tarzan set them free? Jane: What woman wouldn't like a husband who brings her orchids? Boy: There's a whole valley of orchids just across the river. Jane: I know, darling, but out in civilization, they don't grow that way. You have to be very rich to have them. You don't realize what a very wealthy man your father is. 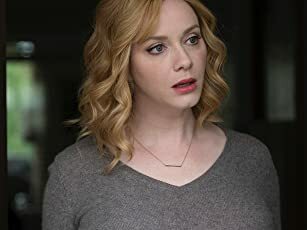 Jane: Yes. He has everything any man could want. Everything. Tarzan: [sweeps Jane into his arms] Tarzan have Jane! 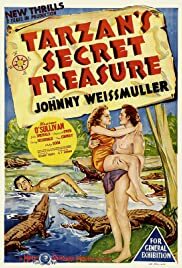 In Tarzan's Secret Treasure Johnny Sheffield finds gold at the bottom of the river where he and the family are out for their morning dip. The Boy knows nothing of what the yellow stuff is and Tarzan could care less as it doesn't effect his style of living, but Jane knows and wants it kept secret for all concerned. A scientific expedition saves young Sheffield from the clutches of a savage tribe and Johnny Weissmuller is naturally grateful. But when the kid gives away the secret of the gold two of the white men, Tom Conway and Phillip Dorn get real greedy as Maureen O'Sullivan knew they would. Not even the protestations of the expedition leader Reginald Owen dissuades the other two, in fact they withhold fever medicine from him so Owen dies. This episode of the Tarzan saga is nicely done and contains every kind of jungle peril out there, savage native tribes, attacking rhinoceros, lions, elephants and crocodiles. The last two figure in a very exciting climax when Tarzan puts things right in his jungle paradise. Tarzan's Secret Treasure also features a very droll performance by Barry Fitzgerald as a most lucky Irishman who was along on the expedition. Fitzgerald's character has a good heart and does earn Tarzan's gratitude for services above and beyond. But as the film ends I believe Weissmuller and O'Sullivan are trusting a bit much to man's better nature in regard to him. All in all, not too bad a Tarzan film.